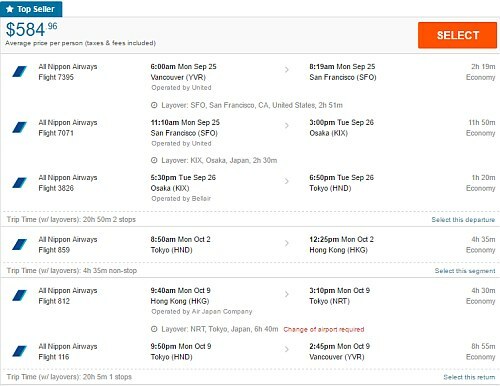 United Airlines and ANA have dropped the price of their September and first half of October flights from Vancouver to Hong Kong down to $474 CAD roundtrip including taxes. However, lately, there have been non-stop flights from Vancouver to Hong Kong for not a whole lot more. It does become more interesting when you turn this into a 2-in-1 trip that allows you to visit both Hong Kong *and* Tokyo, Japan for $584 CAD. Click on the departure date box to open up the calendar view and look for the cheap date combinations that are $470 to $485 CAD roundtrip. You can click through from Google Flights to the United Airlines website to book these flights for $469 to $484 CAD roundtrip. 2. Or you can try searching for them on Momondo to book them for $460 CAD roundtrip. NOTE: Once your Momondo search completes, you may want to adjust the Max Flight Duration slider on the left down to around 36 to see these flights. Also watch out for the fact that some flights may require an airport change in Tokyo or Osaka. 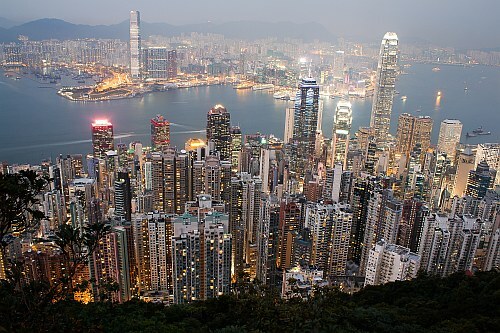 vancouver, yvr, flight deals, asia, east asia, tokyo, japan, hnd, nrt, hong kong, hkg and united arilines.